I sigh as I stand in front of the mirror, not exactly thrilled by what I see. These last few (okay, several!) pesky pounds of baby weight are enough for clothes to feel a little tight and a swimsuit that just doesn’t give me the look I’d hoped for. But, encouraged by others I’ve read this summer to enjoy life with my kids and family right now, I have determined to just get over myself and have fun. And because of it, I’ve been in my swimsuit more this summer than the past several years combined. And I pause for a moment, letting his words sink in. My immediate response is to deny his compliment, but I catch myself and just smile, pushing my wet hair off my face, any remnant of makeup long gone. I think about what I must look like at this moment. What I think I look like, anyway. Realizing what he sees is much different than what I see. My mom enjoying the lake! The next day as I’m pondering our pool time, I’m reminded of a picture of my mom taken years ago on the banks of Lake Superior (our favorite yearly vacation spot). In the photo, she's emerging from the frigid water, head back, laughing. A peculiar sight to my young eyes since my mom rarely went more than wading (I blame it on the early '80s perm, nobody had time to fix that thing once it got wet!). And I remember thinking at the time how striking my mother looked. How to my little eyes she GLOWED, big hair and all. She was beautiful. 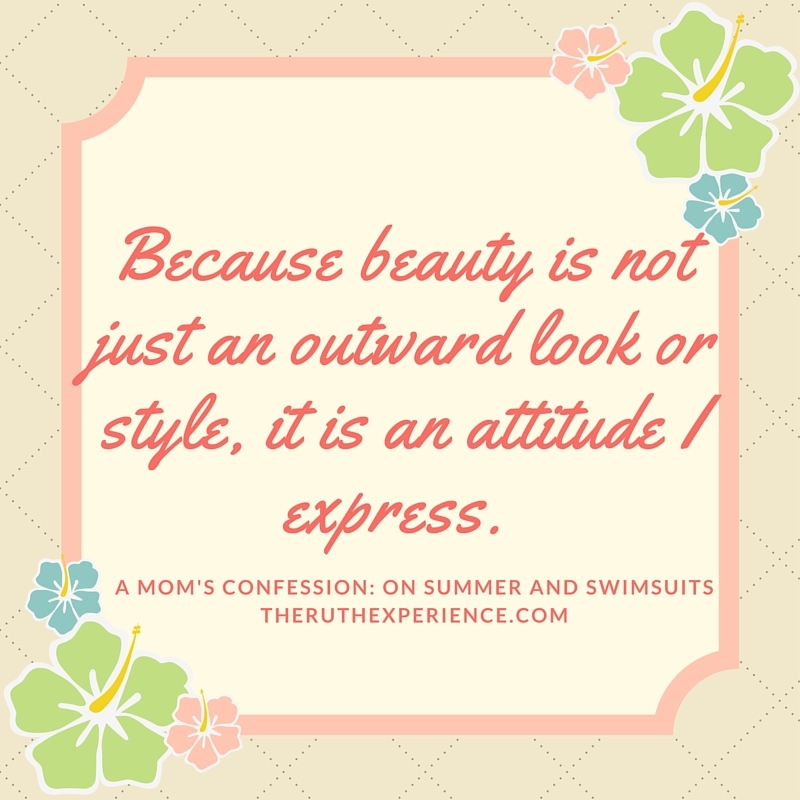 I’m beginning to realize my children don’t need a mom who looks perfect. They may never remember my pre-pregnancy weight or my insanely smart fashion sense (or lack thereof). But they will remember the times I laughed with them, rode bike, and cannonballed in the pool. They may not care what size my jeans were, but it’ll matter that I listened to them, comforted them when they cried, and cheered them on in their successes. 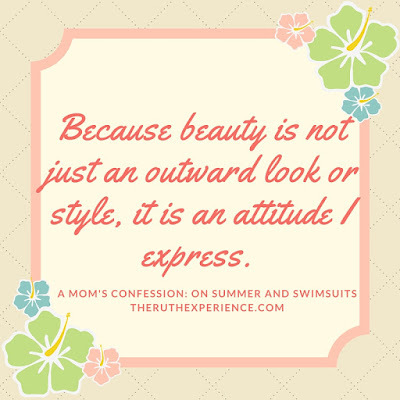 Because beauty is not just an outward look or style, it is an attitude I express. And what others “see” is the beauty expressed through our kindness, love, and sometimes even our silliness. It is our ability to be comfortable with who we are that is so attractive to those around us. Allowing room for them to be comfortable in who they are. Allowing for lasting beauty to shine through. And maybe (hopefully!) 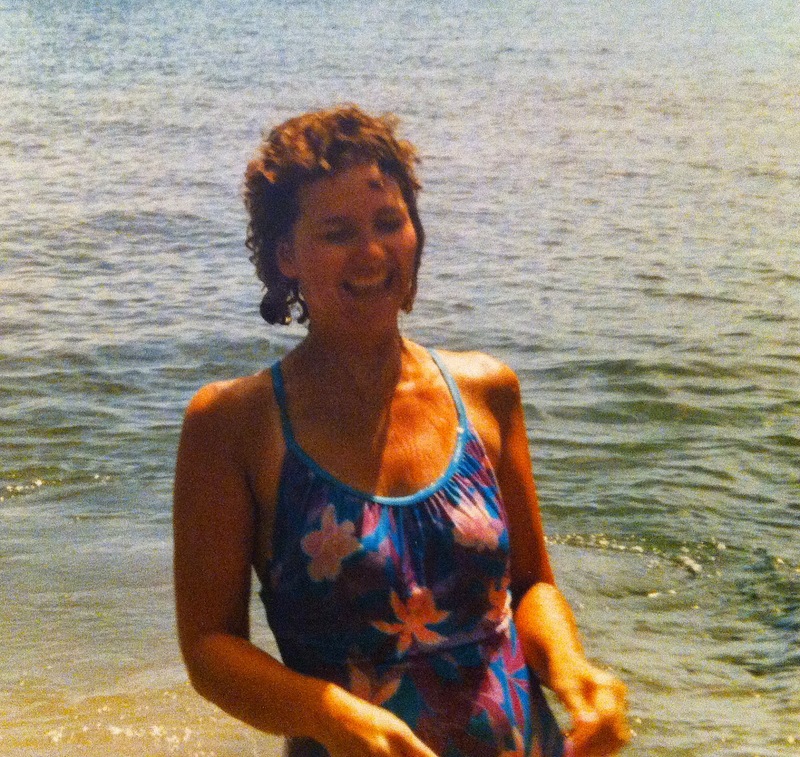 one day my children, too, will look back on these pictures, these memories of their momma at the pool, and say: Wow, mom was beautiful! Didn’t she just GLOW? You can also find this blog post on the Huffington Post! Linking up today with our friends: Sybil for Make a Difference Monday, Jen from SDG Gathering and Jennifer from TellHisStory. I love this post, thank you Kendra! A great reminder that we are responsible for teaching our kids how to embrace our own beauty. Also a great reminder that how we see ourselves is less important than how our kids see us (or, more importantly, how God sees us). Thanks Tara! You're absolutely right, I've found that I've learned so many things about how God sees me through my relationship with my kids. Blessings! So true Stasia! Thanks for stopping by! This is true.. our kids see us through different eyes. They see us through Love's Eyepiece. I have to catch my self-critic when my girls are nearby because they catch it and it is contagious. I want them to have a positive view and enjoy the beauty God made them to be. I need to learn to do it, too. Thanks for the reminder. Good for you! Your children aren't looking at your exterior; they see a loving mother doing things with them, for them, and smiling at their antics. You are their all right now. I'm so happy to have read your post -- as a grandma, it made my day and also brought back memories of when I didn't have the time, as a single mom, to do what you are able to do. Loving that you are living the good mom life. Love this so much! What a valuable reminder! You're a great mom! You are right about your kids remembering how fun you are and not your size. Great choices you've made this summer, my friend!